The original design called for the statue of Abraham Lincoln to be ten feet tall. 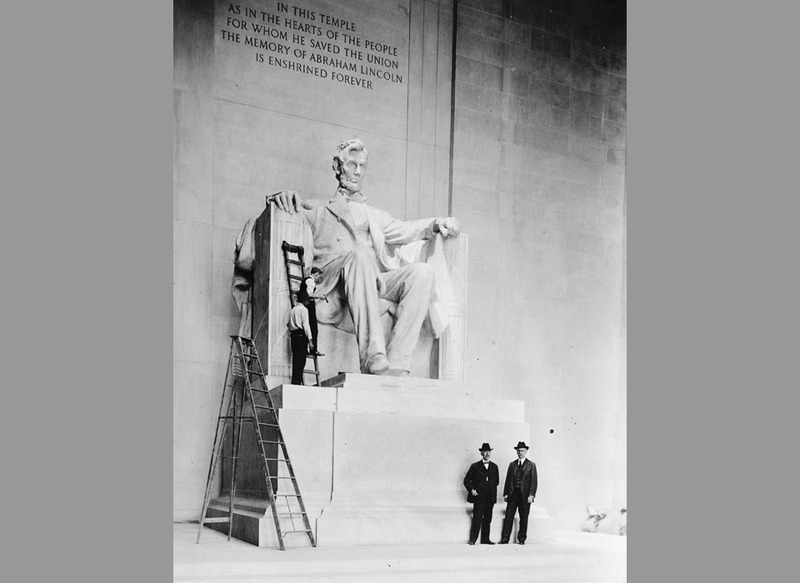 However, the design was later revised so Lincoln would be nineteen feet sitting down – or approximately 28 feet tall if the statue were standing. 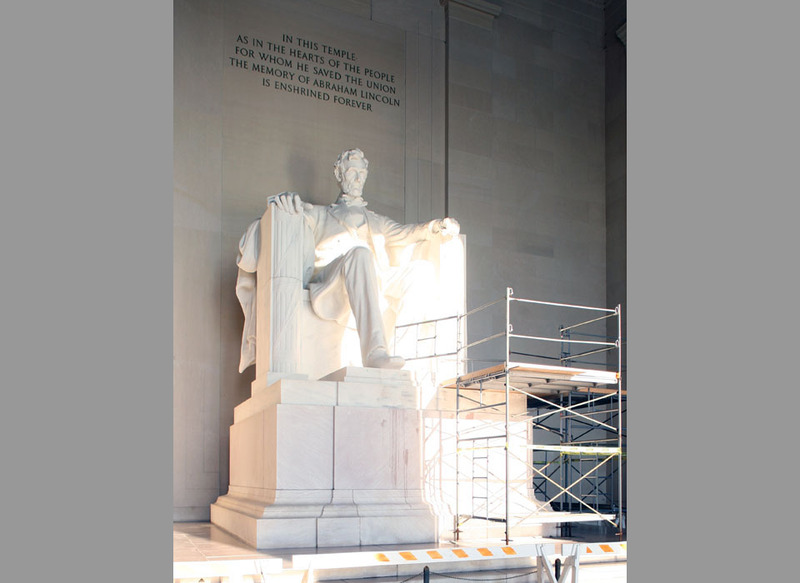 The statue took four years to complete and is constructed from 28 separate pieces of Tennessee marble. One month before I took this photo, Lincoln’s pedestal, along with other DC landmarks, was vandalized by a mentally unstable 58 year-old Chinese National. On the pedestal, just below Lincoln’s foot, you can see the partially cleaned remnants of the green paint that she threw on the statue.